This chapter is about the role of electronic Human Resource Management (E-HRM) in Turkey. E-HRM can be briefly defined as the planning, implementation and application of information technology for both networking and supporting at least two individuals or collective actors in their shared performing of HR activities. 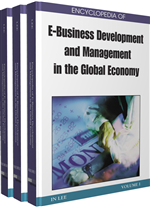 New knowledge economy increased competition throughout the world and living in an age of massive technological evolution is changing the nature of business; especially e-business. E-business is challenging current HRM policies and functions as it uses internet technology to drive organizational performance. This study attempts to investigate several specific and critical points that will contribute to a better understanding of E-HRM by illustrating how it is used by a Turkish firm in the health sector. In this sense, the authors’ findings will try to exemplify how an E-HRM policy is realized. Our aim is to provide a model for the implementation of E-HRM in other companies. As mentioned in the introduction part, living in age of massive technological evolution is changing the nature of business. This new business structure is named as electronic business(e-business) and can be defined as the overall business strategy that redefines the old business models and uses digital media and network technology to optimize customer value delivery (Karakanian, 2000, 1) which causes certain innovative changes in business life. These computer based innovative changes are especially found in customer relations, marketing, inventory control, and/or human resource management and are clearly affecting the way in which business is conducted. The new mechanism introduced by e-business utilizes Internet-based computing, which supports the open flow of information between systems. For this purpose, e-business uses business portals (established over the Internet) to interact with customers (Mitchell, 2001). Information systems have also been applied to HRM for decades. However, the way of using information systems and the way of processing information for HRM have evolved and dramatically improved over the last decade. As a result human resource management has also gone through a change process, especially in terms of HRM policies and functions. E-HRM: E-HRM is the planning and application of web-based-technology channels for implementing HR strategies, policies and practices in organizations. HRMS: Human Resource Management system or also called Human Resource Information System(HRIS) consists of software, hardware and systematic procedures used to acquire, store, analyze, report and distribute relevant demographic and performance information about an organization’s human resources. EHRMS: Electronic human resource management systems refers to the systems and processes at the intersection between human resource management (HRM) and information technology(IT). Human resource management: HRM is the process of managing the most valued assets of the organization; the employees. HRM include functions as job analyzing, recruitment and selection, staffing, training, performance management, career development, compensation, security and health issues of the workforce, and coordinates them in tune with the job and organizational requirements. E-Business: e-business may be defined as the new business strategy that redesigns the old business models and differentiates with the use of information and communication technologies (ICT) in support of all the activities of business. E-business software requires special technical standards and provides the integration of intra and inter firm business processes as well as external relationships with customers and partners. Information System: Information system or information technology refers to the specific software platforms and databases that are used to store data records in a computer system and manages all major functions of the organization provided by the softwares such as SAP, PeopleSoft etc. Software program: It may be defined as the instructions for computers to perform specific tasks.